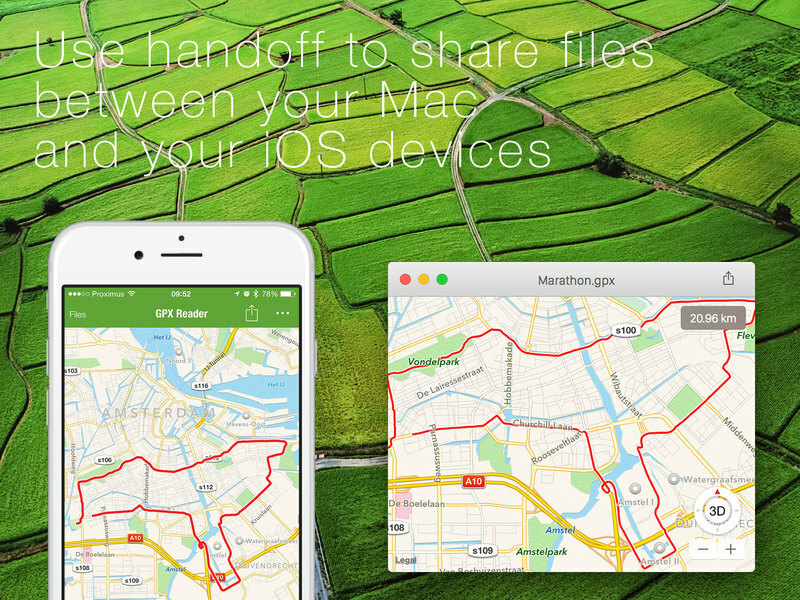 GPX Reader Read your GPX & TCX log files with this tiny Mac application. View your tracks, routes & waypoints in GPX Reader. You can switch them on/off from the menu bar. 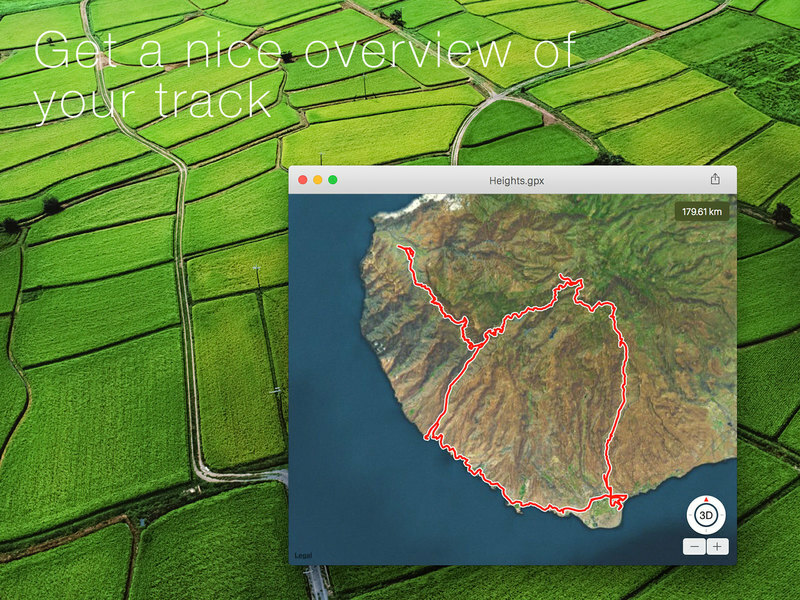 Open your GPX file in GPX Reader and check out the tracks on Maps. Set the map type to map, satellite or hybrid. Recognize your GPX files immediately with the shiny custom GPX icon when browsing in the Finder. 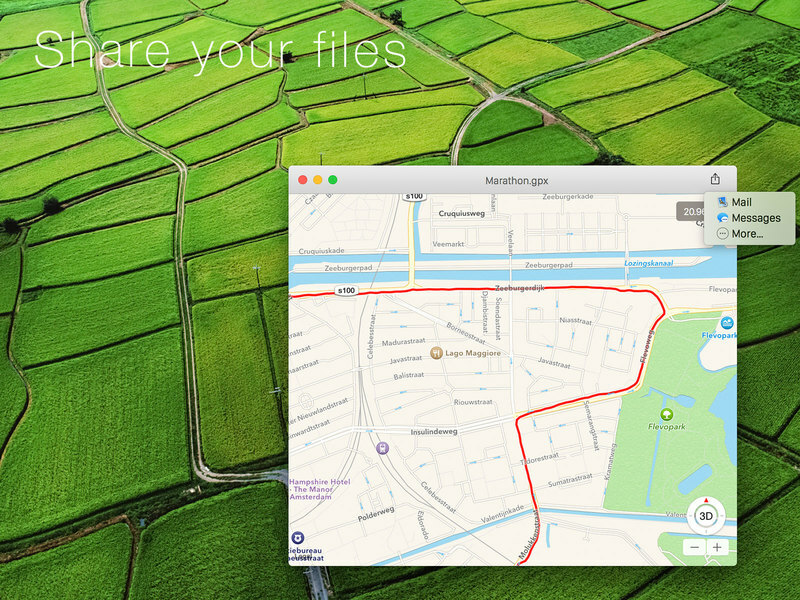 Find your GPX files in no time in Spotlight. The Spotlight importer will index the name, link text, and description content of your files. Browse your GPX files quickly using Quick Look. See the total number of tracks, routes & waypoints defined in the GPX file without even opening it. Open your TCX files in GPX Reader. TCX is a data format introduced as part of Garmin's Training Center product. 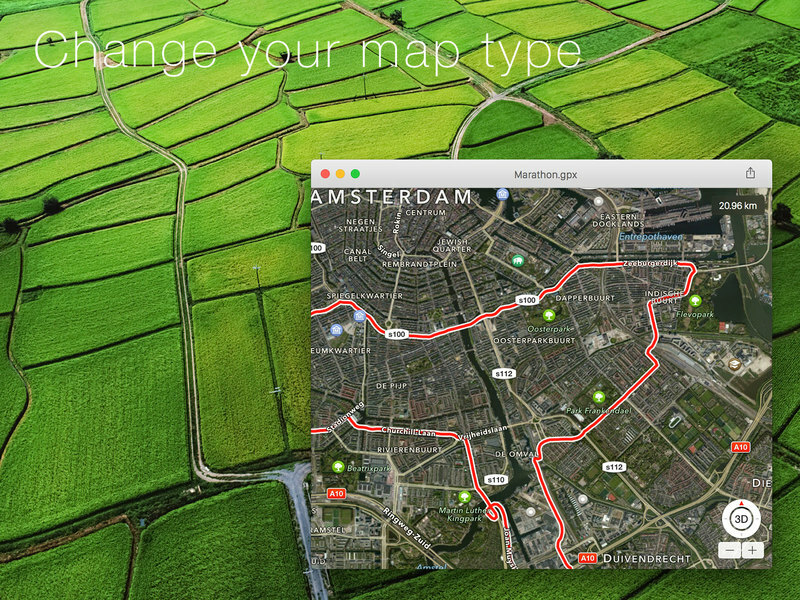 Uses Apple Maps when you have the Mavericks OS X system installed. 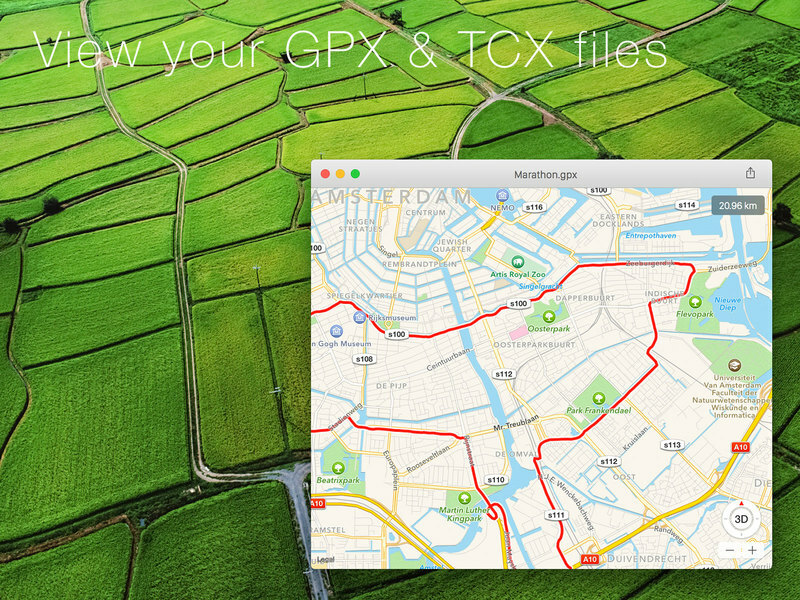 Supports both GPX as TCX file formats.